Peabody, the world's biggest private-sector coal producer, said it expected its mines to continue to operate as usual and said its Australian assets were excluded from the bankruptcy. Large coal companies have been allowed to leave a share of future mine cleanup without collateral through a program called "self bonding" that has come under federal scrutiny following financial distress in the coal sector. Peabody has a total of $1.1 billion in self-bonding across four states, court documents showed. Unlike most large corporate bankruptcies, Peabody's filing did not sketch out a plan for cutting debt. "Essentially through the bankruptcy process the debt will be pared down to a significant degree and lenders will essentially become shareholders," said Monica Bonar, an analyst with credit rating agency Fitch Ratings. The looming fight involves some of the most litigious investment funds on Wall Street, including Aurelius Capital Management and Elliott Management Corporation, according to a regulatory filing. The two funds have spent years battling Argentina in U.S. courts over the country's 2001 default. 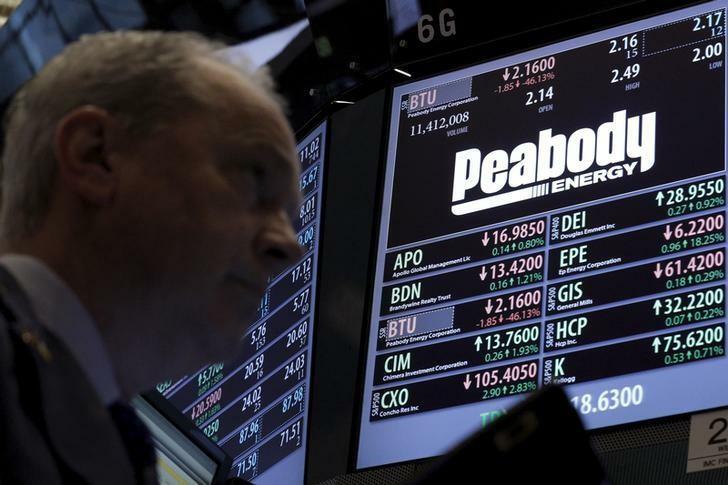 As metallurgical coal demand fell, particularly in China, Peabody's financial woes intensified. The company wrote down $700 million on its Australian metallurgical coal assets last year. "2016 will probably go down as the worst year in history for U.S. coal," JPMorgan said in a research note on Tuesday. U.S. production declined 31 percent in the first quarter year-on-year, although stockpiles still remain high, the note said.